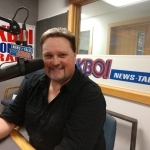 Remember to join us tonight on 670 KBOI for Election Night Coverage. Jay Howell will bring you the results as they come in, and Nate Shelman will be live from the Riverside Hotel with some of the players in today’s election. Don’t forget to listen in tomorrow morning as Paul J and Chris along with Rick Worthington, catch you up on all the races and results.